YAY: "Dad has an iPhone, is finally cool!" 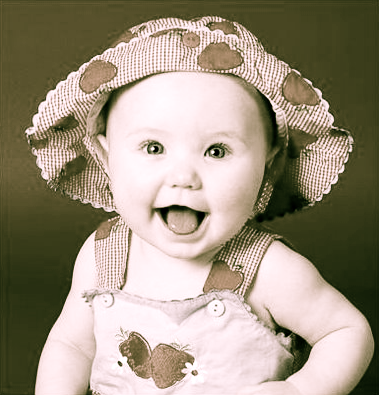 Getting your baby to smile for the camera long enough to take a perfect picture can be a challenge. Using BabyCam’s sound button to play one of the app’s fifteen prerecorded noises—bells, drums, doorbells and songs including “Mary Had a Little Lamb,” helps. “My child must succeed! I will give her every opportunity to succeed! She will learn to write tricky words like ‘constitution’ in a lovely, calligraphic hand, but her vocabulary will never include ‘failure’!” It was such modest claims that inspired me to satirize competitive parenting in The Perfect Baby Handbook. OOPS: Originally conceived as a guide to abstinence. Now, it turns out, that while I was busy satirizing and you were trying not to be too easily satirized, the verb “fail” was turning into the noun “FAIL” (always capitalized) and becoming a cultural phenomenon. Exhibit A: The website, FAILblog.org, launched in Jaunary, 2008, by the same ingeniously simplistic people who brought you LOLcats. 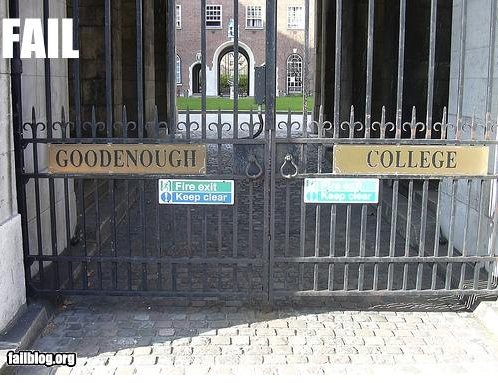 FAILblog invites users to submit images of things that have been done badly, horribly, or disastrously. You might, for example, be able to spot a certain, subtle flaw in this book cover (right). “It really started to take off when the financial industry decided to — ahem — fail…Talk about the perfect storm.” The fail meme met the financial crisis head on at a Senate hearing in September, when a demonstrator held up a sign reading “FAIL” behind Henry Paulson Jr., the former Treasury secretary, and Ben S. Bernanke, chairman of the Federal Reserve. Have you seen this t-shirt? Say, blowing down a street in Brooklyn? 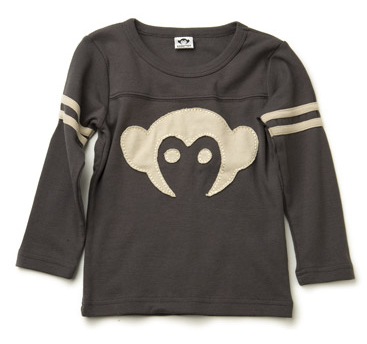 Or on the back of mischievous, Size-5 thief? Or somewhere in my friend Ariel’s house? THE TEE: Gone, but not forgetten. If so, please grab it and forward immediately to Perfect Baby Handbook Worldwide Headquarters on Montague Street so I can restore it to Ariel’s son Austen, the birthday boy for whom it was intended. You see, sometime between 12 noon, Sunday, when I arrived at Austen’s madcap, high-concept birthday party (and handed it, giftwrapped in orange tissue paper, to his mom) and 3 p.m., it vanished. And 100-percent cotton, imported “Vintage Black Football Jerseys” by Appaman don’t just vanish, do they? Especially when they’ve been known to “pair perfectly” with Appaman’s “Vintage Black Slalom Sweats”? But, somehow, this one did, amidst the chaos of the treasure hunt, the dauntingly complex Jelly Bean taste test (organic vs. non-organic), the hysteria, the glee, and the serving of a cake that so masterfully depicted Nemo (of Finding Nemo fame) that a dozen toddlers stampeded towards it, much like art-snobs crowding around the latest Damien Hirst sculpture. It truly is a mystery: Although Austen was witnessed at one point “feeling” the package and asking, with slight dismay, “Is it clothes?”, no one knows if he ever opened the gift. The card that accompanied the gift was found, halfway out of its envelope, on the floor. • Birthday guest Dorian, a rival four-year-old who has never impressed me as honorable. • Mysterious forces who feel strongly that well-off American children receive far too many birthday presents and wanted to make a point. • Every kid needs a Swiss Army Knife—or does she? Everyone loves a clairvoyant. Especially when she predicts the future with as much bluster and certainty as Penelope Trunk, who pens a syndicated business column called the “Brazen Careerist”—and focuses her forecasting on one’s own beloved child. 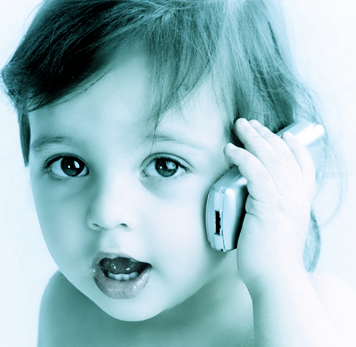 DECISIVE: "Hi Mommy, you're fired." Trunk’s most recent projection, “What Generation Z will be like at work,” is irresistible. In a nutshell, it seems that your baby is going to grow up to terrify all of his or her older coworkers. Your child won’t be a team player, he’ll process information at “lightning speed,” and he’ll be busy swallowing “neuro-enhancers” (the successors to ADHD medication) that render him even more freakishly intelligent than you’d hoped. For those of you who doubt the power of naming, check this out: If your name begins with a K you will strike out more often in baseball. If your name begins with a letter toward the end of the alphabet you could be economically penalized. Don’t you want to know how an X name will lead to economic penalty? I did! Until I discovered that the explanation is overly wonky and heavy on unzippy terms like “alphabetical discrimination.” That said, I did learn that children whose full names reduce down to “negative initials,” such as P.I.G. and B.U.M. are “especially likely to die from psychological causes, such as suicides and self-inflicted accidents.” Fun fact! 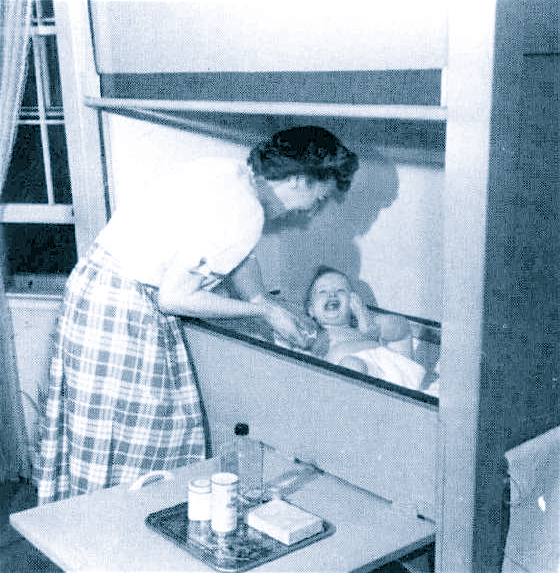 The hottest baby invention of 1945: The lab-rat crib! HOME, SICK, HOME: Climate controlled! The crisply designed “apparatus” got a bad rap right from the start. When Skinner enthusiastically but nerdily outlined its merits for the Ladies Home Journal in 1945, the article, titled “Baby in a Box,” raised eyebrows. Since BF’s other big invention was a case for testing animals (and rewarding them with food-pellets), people assumed the worst. Rumors flourished that baby Deborah, “locked” in her box, failed to appreciate its comforts. According to the stories, she promptly became psychotic, growing up to sue her father and commit suicide. Not so, declared a distinctly undead Deborah decades later, in a spirited defense of her father’s methods published in the (U.K.) Guardian. A few critics have objected that they would not like to live in such a compartment—they feel that it would stifle them or give them claustrophobia. The baby obviously does not share in this opinion. The compartment is well-ventilated and more spacious than a Pullman berth, considering the size of the occupant. Another early objection was that the baby would be socially starved and robbed of the affection and mother love, which she needs. This has simply not been true. 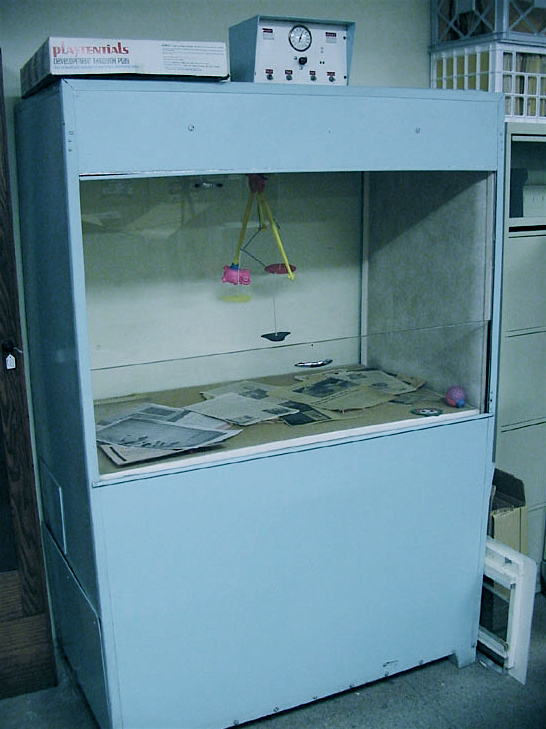 The compartment does not ostracize the baby. The large window is no more of a social barrier than the bars of a crib. How long do we intend to keep the baby in the compartment?….almost certainly until she is two years old, or perhaps three. Or even “outdoors.” Rechristened the Aircrib when it was commercially produced in 1957, Skinner’s box mysteriously failed to catch on. SKINNER'S CRIB IN ACTION: Note slide-out tray, pivoting display-case window, and little Deborah's evident bliss. • Every kid needs a Swiss-Army knife—or does she? 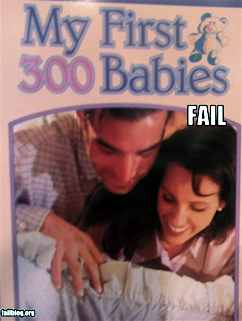 Be among the first to own The Perfect Baby Handbook. Order your copy here.